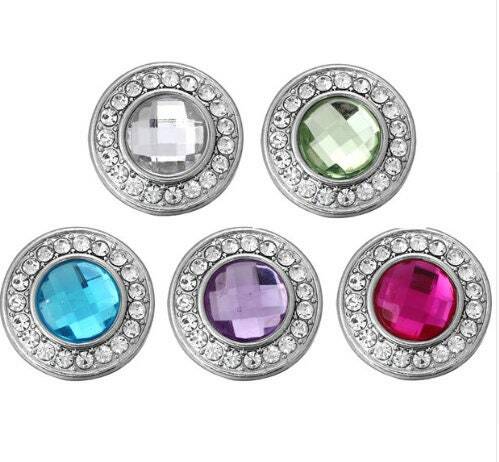 Sparkly Round Colorful Stone Snaps with clear rhinestone border. These snaps come in five vibrant colors and meaure about .75" in width. They make a stunning edition to all of your snap jewelry accesories! Select two of the same color and make a great pair of snap earrings! 1. Pick a base piece from our vast selection. 2. Select a handpressed or glitzy snap! Interested in wholesale? Have a question? Send us a convo!